Capacitors store energy for later use. The capacitance is the ratio between the amount of charge stored in the capacitor and the applied voltage. Capacitance is measured in farads (F). 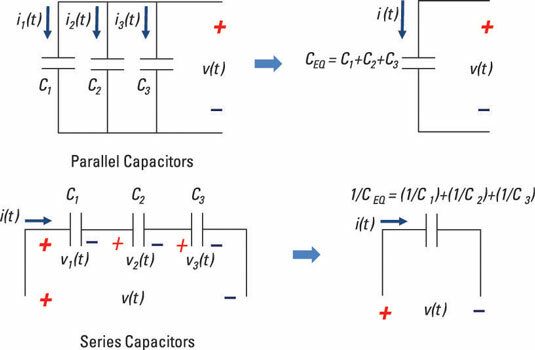 You can reduce capacitors connected in parallel or connected in series to one single capacitor.